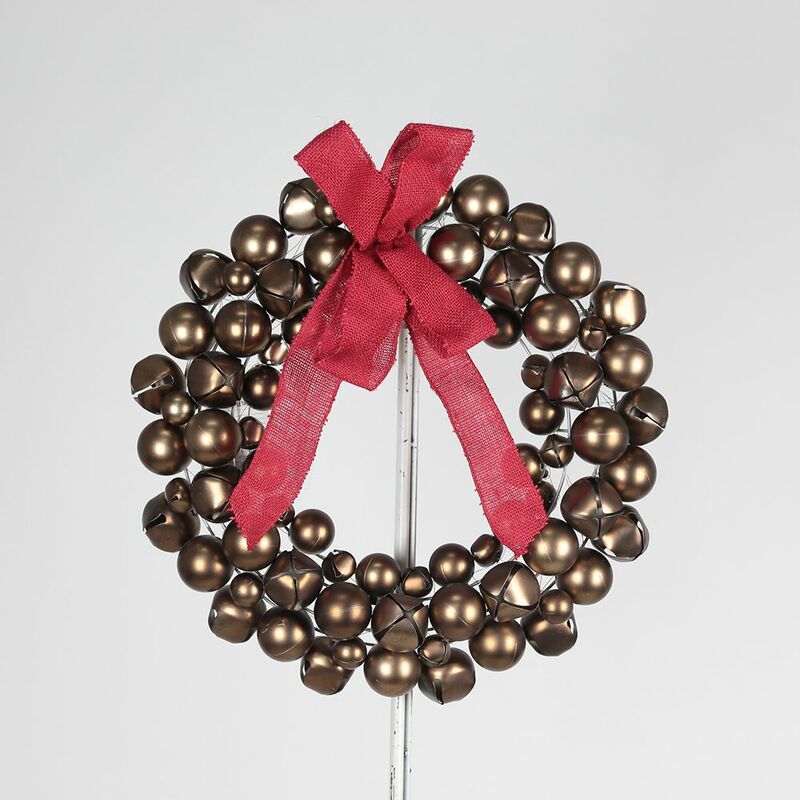 This Bronze Jingle Bell Wreath will brighten up any Holiday event. This wreath combines holiday ornaments with various size bronze jingle bells, and a gorgeous burlap bow to top it off. It will be the statement piece at are your next Holiday party. Your guests will be running to the store, to buy their own! Decorate your home this Christmas with this beautiful and unique wreath. The 30 in. Pre-Lit Frosted Poinsettia Artificial Wreath with 35 Battery-Operated LED Lights is ideal for the door or above the fireplace. It's easy to shape and ready for quick decoration to give your home an elegant touch. Decorative Bronze Jingle Bell Wreath This Bronze Jingle Bell Wreath will brighten up any Holiday event. This wreath combines holiday ornaments with various size bronze jingle bells, and a gorgeous burlap bow to top it off. It will be the statement piece at are your next Holiday party. Your guests will be running to the store, to buy their own!